Genetics: Homozygous LP/LP for Appaloosa. Notes: Also Tested Ee Heterozygous. 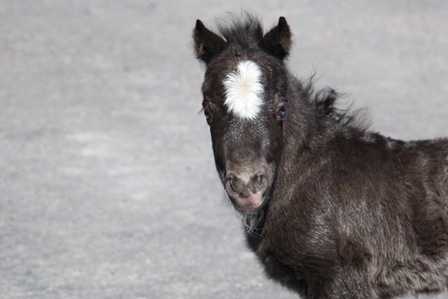 Horse is Black based but carries a recessive copy of the Red gene.This means this colt will be a 100% colour producer. Anyone wanting to breed for appaloosas and be sure to get them.This is the colt you need. 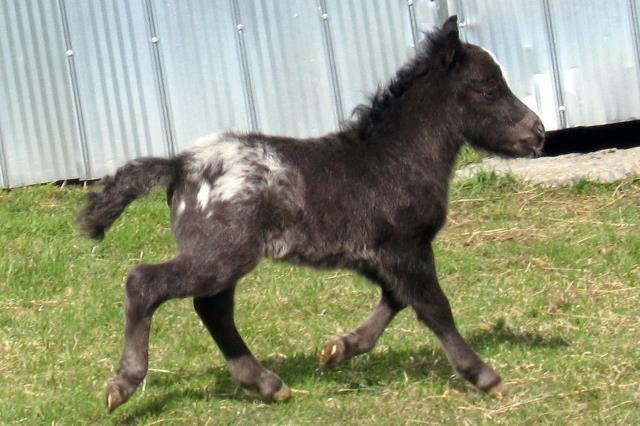 Our very first Homozygous appaloosa bred foal.